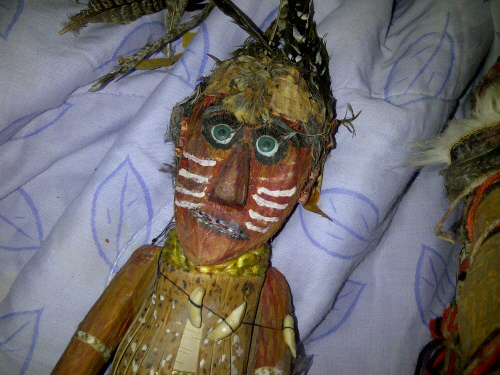 The pictures of these beautiful Mi’kmaq wooden dolls were sent to me by Susan Levi-Peters, Elsipogtog (Big Cove, NB). 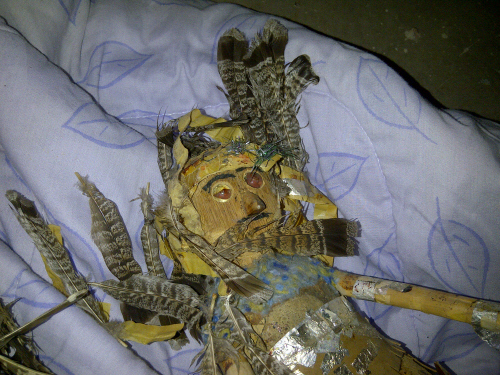 They were found in Saint John during a renovation of an old house on St. John Street by contractors. 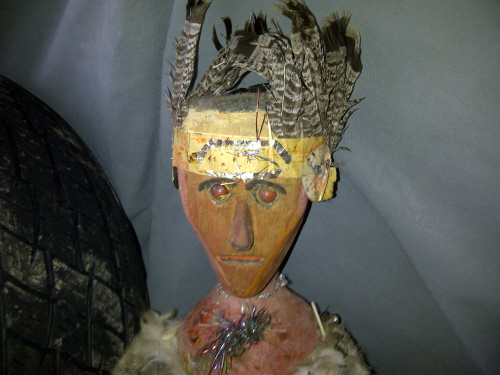 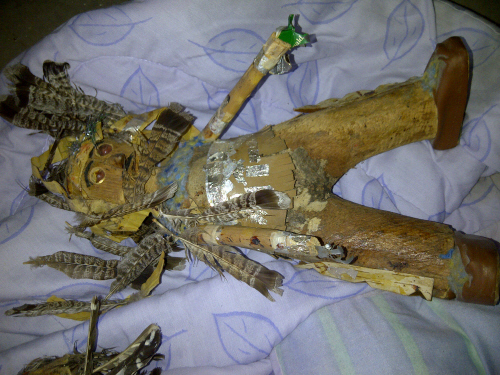 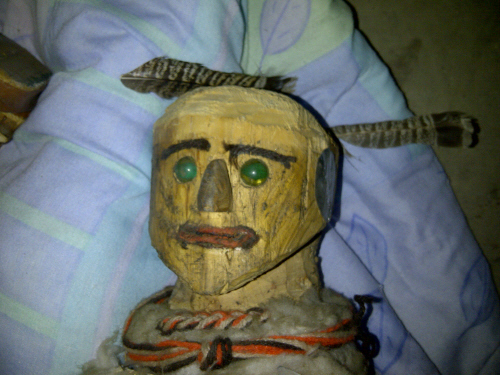 Susan relates: "the contractors that found them took them home to Moncton and started to experience stuff like feathers all around their car so they got scared and we were called, now we have the dolls at our house."